In the video bellow, we just had to show you this Nova SS just because it was such a flawless car with apparent showroom qualities that we honestly were surprised that this guy decided to drive it to the show and back, just because of the damage potentials of some guys starring so much at it that they would run into it, being blinded by that gorgeous color. 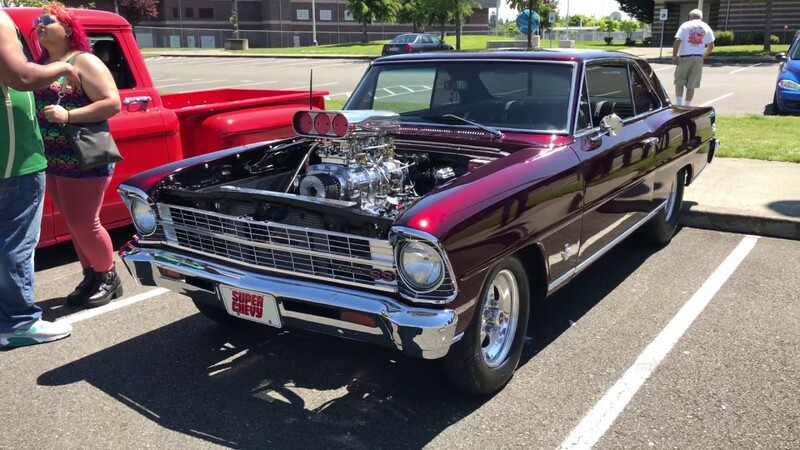 Aside from the flawless paintjob that glistens in the sun, this Kandy Brandywine colored 1967 Chevy Nova SS is catching the attention of everybody with that Supercharged small block in the engine bay which screams with power even when the engine is off. This is one of those examples of a classic muscle car which get people’s attention so much, causing love at first sight and many times turning them into classic car lovers just with its presence, so do not dare miss this fine automobile.